Mad Scientists, Adventure, True Love and More! 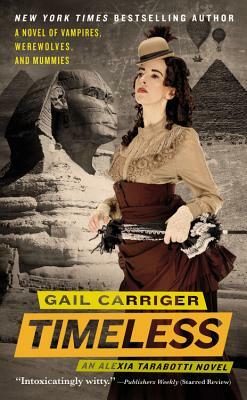 ﻿In Soulless, Gail Carriger introduced the world to Alexia Tarabotti a heroine who enthralls readers as well as the occasional werewolf with her wit and mystery solving abilities. Victorian London is re-imagined to include vampires and werewolves in the highest echelons of government acting as advisers in the Queen's Shadow Council. Humans vie to become immortal, but only those with enough soul are able to make the transition. Very rarely a human is born with no soul, like Alexia, with the power to temporarily revert immortals to a mortal state. But when Alexis becomes involved in the search for missing werewolves she comes to the attention of some rather unsavory characters and her life course is forever altered. Wit, action and humor rule the novels of the Parasol Protectorate.